Readers this week can preorder CalDigit's brand-new TS3 Plus 15-port Thunderbolt 3 Dock with a 1 meter cable for $269 ($100 off) with a free $10 B&H gift card. This exclusive bonus is in addition to free expedited shipping and no tax on orders shipped outside NY and NJ. Ready to expand your selection of ports with a Thunderbolt 3 dock to complement your 2016 or 2017 MacBook Pro? 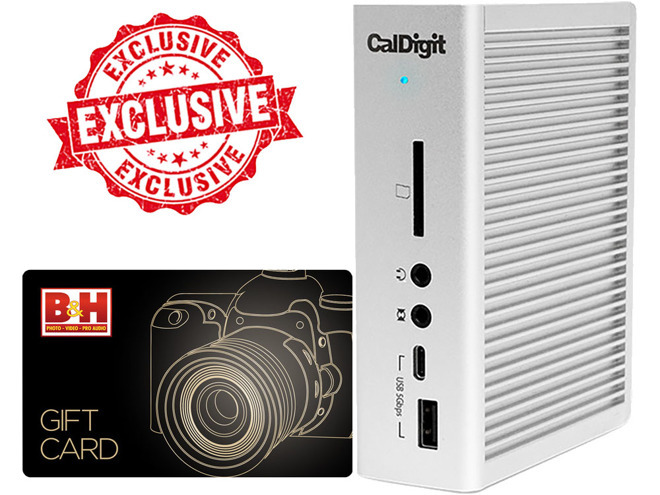 CalDigit just unveiled their new TS3 Plus 15-port Thunderbolt 3 Dock, and AI readers can take advantage of an exclusive offer that puts a little cash back in your wallet. The TS3 Plus features two Thunderbolt 3 ports, one USB 3.1 Type-C port, one USB 3.0 Type-C port and five USB 3.0 Type-A ports. The handy accessory also has one DisplayPort 1.2 connector, a Gigabit Ethernet port, SDXC UHS-II card reader, headphone jack and a 1.0 meter cable (longer than the standard 0.5 meter option for enhanced usabiltiy). 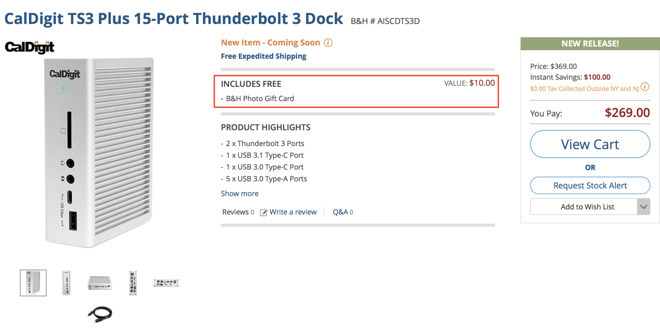 Retailing for $369.99, B&H is currently offering the dock at an introductory price of $269.00 —a discount of $100. Readers can also snap up a free $10 B&H gift card in addition to the cash discount when you use the step-by-step instructions below to activate the promotion. This exclusive deal, which is available only at AppleInsider, is in addition to free expedited shipping to the contiguous U.S. and no sales tax on orders shipped outside New York and New Jersey. In total, many shoppers can save $130 on average compared to paying full retail price, without even factoring in the free gift card. To activate the deal, please see the step-by-step instructions below. Instructions: To redeem the discount, simply click through one of the $269.00 pricing links in this post using AppleInsider's desktop site and look for the free $10 gift card message (outlined in red in the screenshot below). 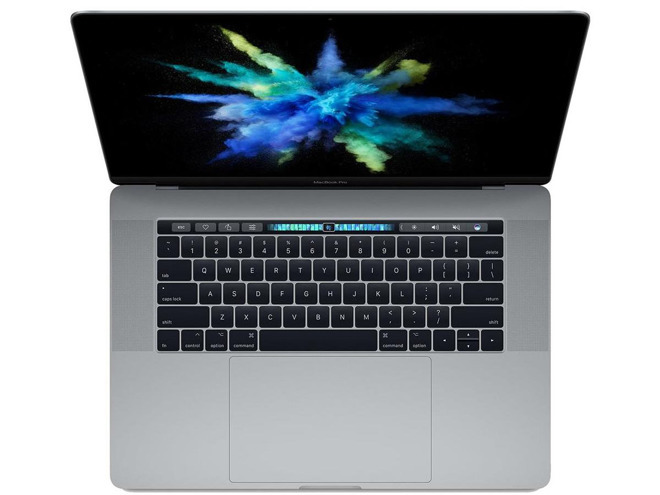 Looking for the lowest price on a MacBook Pro to pair with the CalDigit TS3 Plus? B&H is also discounting Late 2016 models this week with instant discounts from $600 off all the way up to $1,000 off. On top of the cash savings, shipping is free to the contiguous U.S., and there's no sales tax on orders shipped outside New York and New Jersey. For many shoppers, this equates to another $100 to $200 in savings on average. Qualifying models can be found below. You can easily tack on an AppleCare+ extended protection plan to these closeout MacBook Pros for $379 by selecting the AppleCare option immediately after you press the "Add to Cart" button on B&H's website.